Something New From VA GARMENTS!! As you all should know VA GARMENTS will be showcasing their new S/S 14 range at the One by One store in Soho on the 17th March, I am here to bring you guys exclusive images of pieces from the up and coming collection…soo00 here’s two of my fav pieces from the collection. One of our newest products to the Tailor Made range, the eclectic gilet redefines the ordinary gilets. 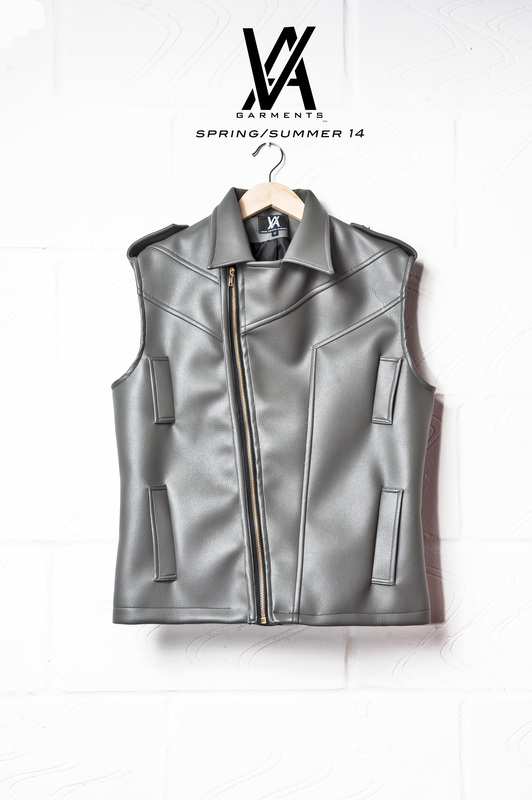 Similar to the iconic eclectic jackets this gilet is constructed in pure leather full body both front and back. Along with a gold slightly asymmetric zip on the front. The gilet has 2 gold studs on the shoulder. This t.shirt is made of pure cotton and jersey material full body. 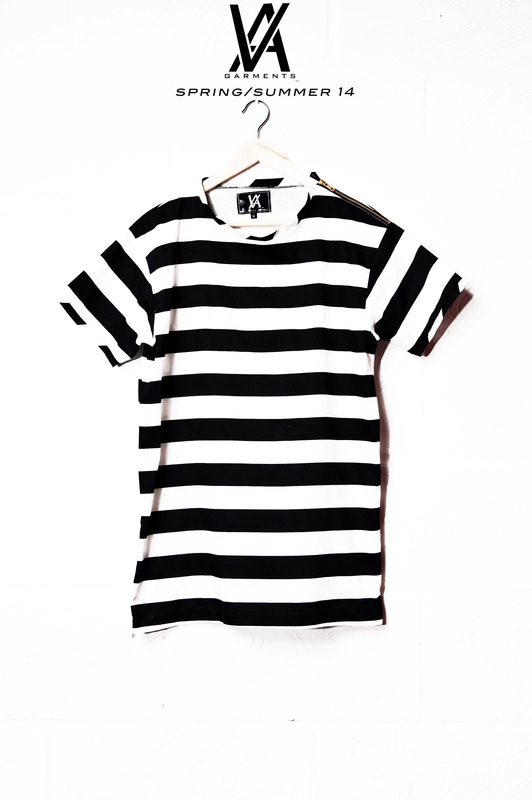 Features referee like styled material with 2 gold zips, one situated on the left shoulder and the other on the lower left to add attention to detail on this custom fit tee. I feel both of these pieces work really well together as a look, team it with a pair of distressed, ripped black jeans and some dope retro high top trainers and you are good to go ;). This brand represents that high quality and luxury lifestyle, be apart of something new with VA Garments!!!! ← EPIC NEWS… EPIC NEW COLLECTION !! !